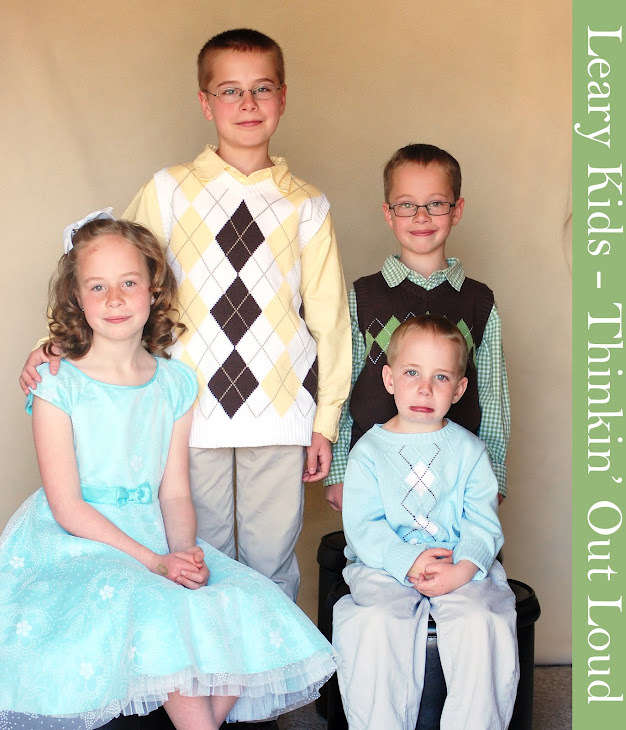 Leary Kids - Thinkin' Out Loud: Lazy? Mia has this whole list of things she *has* to say to me before she will go to sleep each night. She recently got tired of saying it so she just says, "Good Night. Same thing I say to you every night!" I *have* to reply, "Back at you." or she will keep saying it. The other day when I was tucking Jared in he said to me, "Same thing Mia says to you every night." To which I replied, "Back at you."